Located in the Thrissur district of Kerala, Guruvayur (also spelt Guruvayoor) is one of the most sacred and famous pilgrimage sites of India. 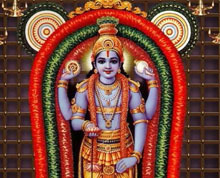 Its spiritual heart is the temple dedicated to Lord Krishna (Guruvayoorappan). During the months of February or March, the famous annual Ulsavam Festival is marked by splendid elephant races (anayottam) and processions. The best elephants take part in the competition, an important part of the ten day festival. The Guruvayoor temple is the number-one attraction of Guruvayur. The temple draws some 25,000 pilgrims every day. Carved out of gold and Pathalanjana Sila, the idol of the Lord Krishna is said to have installed in the days of antiquities. The temple is off-limit for the non Hindus. Strict dress code is maintained. Other subsidiary shrines are dedicated to Lord Ayyappa and Goddess Bhagavathy. 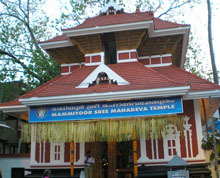 Another famous shrine in the temple town of Guruvayur is Mammiyur temple, dedicated to Lord Shiva. Most of those who visit the Guruvayur Sreekrishna Temple also pay their obeisance to this shrine. Air : Nedumbassery Airport near Kochi is the nearest airport which is 87 Km away from Guruvayur. Kozhikode (Calicut) airport, 100 Km from Guruvayur is another convenient airport. Rail :The railhead at Guruvayoor is connected with Thrissur (Trichur) railway station which is 29 km away. Thrissur (Trichur) is connected by rail with major cities and places in India. If you are travelling from the Mangalore side you can get down at Kuttippuram railway station from where regular bus services are available to Guruvayoor. Road : Guruvayur is well connected by road with different cities and places in South India. Some of the cities, towns and places in South India connected with Guruvayur are Palakkad (95 Km), Kochi (108 Km), Kozhikode (129 Km), Kottayam (169 Km), Munnar (175 Km), Alappuzha (173 Km), Ooty (230 Km), Thekkady (Periyar) (242 km), Palani (247 Km), Thiruvananthapuram (331 Km) and Kanyakumari (419 Km). 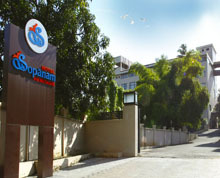 Hotel Sopanam Heritage, Hotel Krishna Inn, Hotel Gokulam Vanamala, Nakshatra Inn, Bhasuri Inn, RVEE’s Regency, Hotel Elite, Vysakh International, Mayura Residency, Hotel Fort Gate, Hotel Govindam Residency, Hrishikesham Tourist Home, Hotel Prarthana Inn, R.V.K Residency, Poornima Tourist Home, Hotel Ayodhya, Surya Ayurvedics, Guruvayoor Resorts, Aradhana Tourist Home, Brahmaputra Tourist Home, Guruvayoor Township Rest House, Thulaseedalam Tourist Home, Hotel Mangalya, Hotel Nandanam and Hotel Anjanam are some of the accommodation options in Guruvayur. 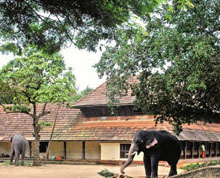 Kausthubhom Rest House, Panchajanyam Rest House and Sathram Guest House are the accommodation facilities run by the Temple Devaswom.